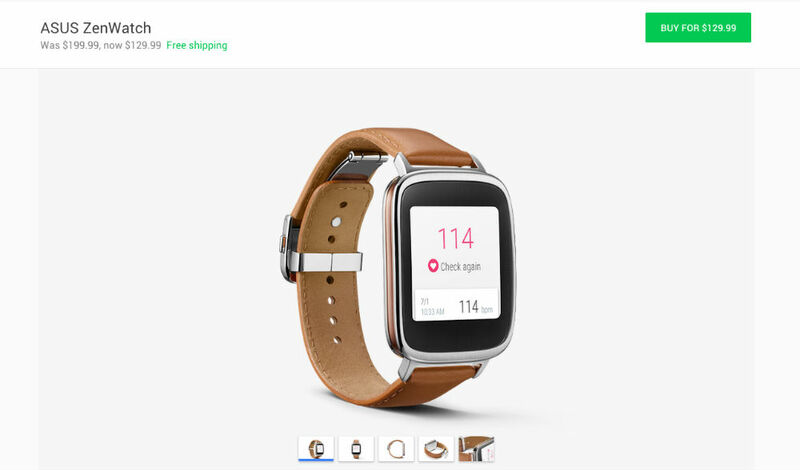 The ASUS ZenWatch, first released in November of last year, had its price slashed over on the Google Store this week, from its original $199 price to just $129. Featuring a 1.63” AMOLED display, Snapdragon 400 processor, and 1.4Wh battery, the ZenWatch is a solid Android Wear device, even allowing users to test their heart rate by holding the side of the device. The $129 is a great price, just in case you needed more convincing, as the smartwatch is also priced at $149 on Amazon. So, Google has the best price for you. Although, you should know that the ZenWatch 2 has been announced, and should be available quite soon. For a closer look at the ZenWatch, watch our hands-on.